Court proceedings can be quite complicated and in almost all cases stressful. The most important part is that attaining justice is dependent in one hand on the sincerity of one’s claims and on the other hand, the expertise of his or her attorney. In cases of workplace injuries, great attention is paid by the United States legal system, owing to the fact that there is a terrifying increase in the cases reported. Crucially, just as the burden of his job rests on an employee, so does it rest on the employer that the environment for this job is made to be safe and conducive. 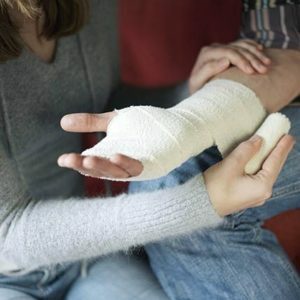 The existence of work injuries and their rise in number, however, points to the incompetence of some employers across the country. It is then the right of the employee to get compensated for his losses. The employee who is then the claimant has the right to hire an attorney who will go ahead to negotiate for his client to be given the maximum claim deserved. In a case where this negotiation falls through as it often does, the case is taken to court. It is, therefore, the responsibility of the attorney to advocate tirelessly and relentlessly in ensuring that the injured is eventually compensated. With 55 solid years’ worth of combined experience, Rawa Law Group easily stuns with the most qualified hands in the district. Our work injury attorneys in Temecula will go over and above to see to it that you have the best representation possible. Our thorough approach to cases as well as our personal compassion for clients has paid off through the years with over hundreds of millions raked in as compensation. Feel free to reach us now, take advantage of our free case evaluation.